超爱狗狗的家庭主妇,喜欢缝制狗狗衣物. Housewife who love dogs , love to sew dog clothing. 嗨 ! 我是 julie leau ! 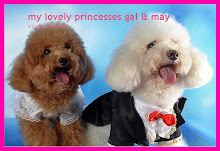 歡迎耒到 gal frenz the pet boutique , 這里有我親手为寵物設計縫製的衣服 , 飾物及用品 . 批發零售一律歡迎 ! 希望能為您与您心爰的寵物提供更完善的服務 , 謝謝您們的支持与指教 ! 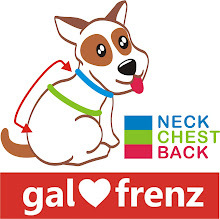 Welcome to gal frenz the pet boutique. All items are handmade with loving care by me .I sew pet clothings, beds and accessories based on small breed dogs. Feel free to visit my on-line shop often because I will be updating new items from time to time . e-mail address galgal520@gmail.com , phone No: 012-2188009 or place your order below . If you would like a wholesale price for items please contact me with details of items ad quantities required . Kindly leave behind your comment. Your feedback will be highly appreciated. Thank you very much ! Goods sold are not refundable or exchangable. Sales are made on first come first serve basis. Please NO backing out after confirmation of order. Colours may be vary slightly due to monitor settings. we are not to bare any dameges or lost during the delivary of parcels. You may bank in extra money due to the reason that the machine can only accept RM10 notes. Goods will be delivered within 48 hours after payment has been confirmed by email/sms. All items will be sent via courier service -Secure CSB Logistics courier service. Do not expect to receive items within 1 ~ 2 days over public holiday or weekend. It is important that you measure your pet before you place your order of clothings. There are three essential measurements that you will need tp measure which are Neck, Chest and Back size. We have created a diagram below that will show you how to measure your pet. Chest~~ Measure behind the front legs from the widest part of the chest all the way around. Back~~ Measure the body length from the neckline where the collar is to the base of the tail. Neck~~ Measure around the neck of your pet leaving space for comfort.